Welcome to the 7th annual vintage of the Sparkling Wine Competition: 50 Great Sparkling Wines of the World by Wine Pleasures. Yet again the 50 Great Sparkling Wines of the World competition has uncorked a breathtaking array of sparkling wines from around the globe. We have gold and silver award winning sparkling wines in 3 different production categories – Traditional Method, Charmat method and Frizzante all at different price points but all within the the 5 to 25 Euro price range. As always, Italy, Portugal and Spain head the tables with golds and silvers awarded to sparkling wines from diverse countries such as Austria, Australia, Bolivia, Slovenia and the UK. The Sparkling wines are grouped according to method of production, dosage and ageing on the lees and then tasted blind by a panel of judges. Judges are aware of the method of production, dosage levels and time on lees. After each Sparkling Wine tasted, the judges compare notes and reach a consensus on a score out of 100 points. 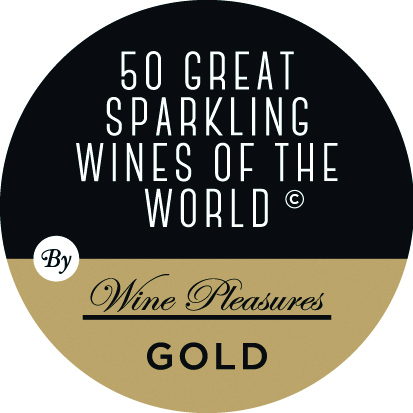 Gold and Silver medals only are awarded for the top 50 Sparkling Wines. Wine producers can label medal-winning Sparkling Wines with stickers for bubble lovers to recognise in store. The main aim of he competition is to identify, reward and promote wine quality to both the trade and wine lovers. Medals are only awarded to wines in which consumers can have total confidence. The results are presented according to the method of production. Overall the judges found the tasting challenging, but in the end they came up with some interesting category winners. All of the winners represent fabulous quality and value and many winery names may well not roll off the tongue. Our advice to both wine professionals and wine lovers is to use the results as a means decide on which sparkling wines to choose for this Christmas and during 2019.